POTTERS BAR, United KingdomClean Bandit is a little different to other electronic dance music acts, mixing elements of both classical and dance music with a healthy dose of humor. It works – their 2010 debut single "Mozart's House" reached Number 17 on the UK Singles Chart and in 2014 they topped that chart with "Rather Be," which also earned them their first US Top Ten single – and a 2015 GRAMMY for Best Dance Recording. 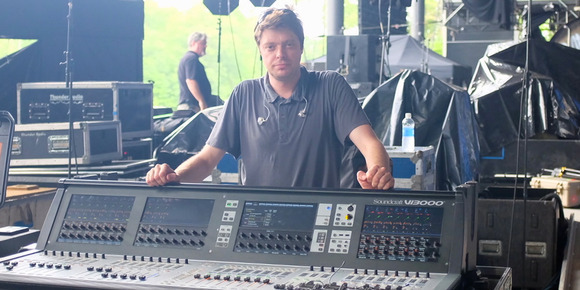 Paul Hatt, the band's monitor engineer, has been relying on a HARMAN Soundcraft Vi3000 digital live sound console to craft the band's signature blend of classical and cutting-edge. "Clean Bandit perform with a mixture of electronic and live drums, live strings and vocals, which makes getting a good mix a lot more challenging than with other acts I've worked with," said Hatt. The core band members are Grace Chatto, cello, electronic percussion and vocals; Neil Amin-Smith, violin, keyboards and vocals; Jack Patterson, drums and Luke Patterson, keyboards, bass, sax and vocals. Elizabeth Troy is the main singer, backed by vocalists Kristin Hozein and Christina Hizon, who also plays keyboards. Hatt needs a console that's up to the task. "There's a lot of movement on stage with different vocalists each singing lead on different songs, then switching back to background vocals. I have to blend live and electronic drums and the live cello and violin with the strings on the backing tracks. There are a lot of keyboard channels and sequencers, which are important signature sounds on each song. Staying on top of who's playing what and making sure what they hear what they need to play and sing in tune and in time is quite a juggling act." Hatt configures the Vi3000 largely in stereo AUX/monitor mode using 48 local inputs. The console is connected via Cat5e to a Soundcraft Compact Stagebox, loaded with 24 additional line outs that feed the band's in-ear monitor (IEM) rack. Clean Bandit uses 12 stereo IEM systems and some hard-wired mics, which covers everyone in the band, the playback and backline technicians plus a spare and guest mix. 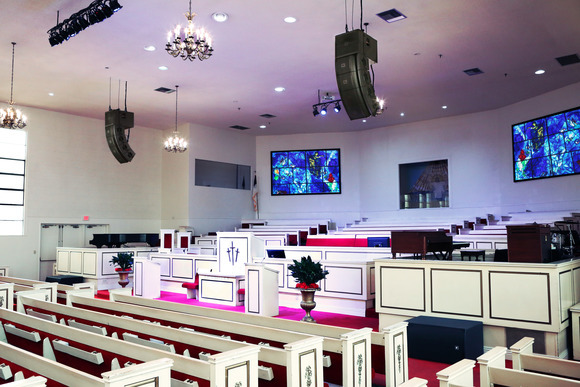 There are no wedges on stage but on larger stages, Hatt might add side fill speakers. Hatt also uses the Soundcraft Realtime Rack, a hardware/software unit designed in collaboration with plug-in manufacturer Universal Audio that provides access to 74 industry-standard UAD plug-ins. The Realtime Rack is connected via the Vi3000's onboard MADI interface. "With everyone in the band on IEMs we need a lot of individual reverbs, and the SoundcraftRealtime Rack is absolutely magical for this purpose." In fact, Hatt is so dependent on it that it's permanently mounted in the flight case with the console. Hatt had been a Soundcraft user for years before taking the Vi3000 on tour with Clean Bandit. 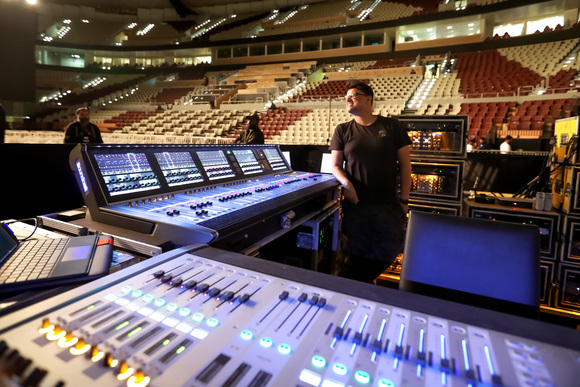 "Soundcraft has been my console platform of choice and the one I feel most comfortable with, so along comes the Vi3000 and of course I had to try it." 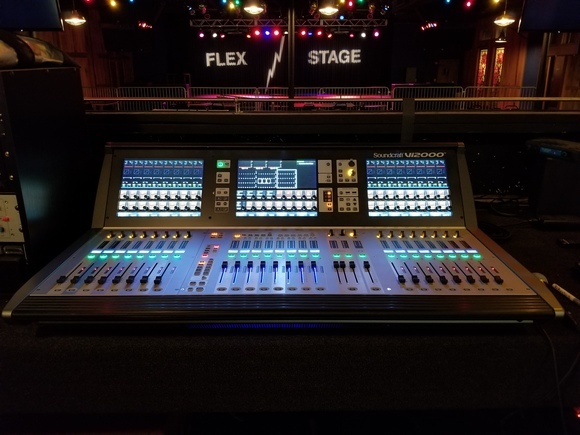 One of the many reasons he likes it is that it sits between the smaller Soundcraft Vi1 and larger Vi4 in size yet has a generous amount of inputs and outputs built into its surface, which negates the need for him to carry a local rack and a full-size stage box. "With the Vi3000 I can get a compact console in the back of the trailer with all the band's gear, but with all the I/O and processing I need for the job." "It really is a brilliant choice for monitor mixing – 24 stereo AUXs in such a compact package is a thing of joy." Hatt had used other consoles and found them too limiting. "I'd always have to compromise somewhere with the large number of IEMs the band uses. Not anymore – you can just keep adding more stereo mixes with the Vi3000 and everyone is covered properly." The Soundcraft Vi3000 has performed flawlessly on the Clean Bandit tour, notes Hatt. "I'm using the board's local preamps, which to my ears have added crispness and a more open high end. They're very accurate and musical sounding and have plenty of headroom." As a previous Soundcraft user, he also appreciates that the Vi3000 feels immediately familiar. "It's the same user interface you know and love, so you're instantly familiar with the operation, but there are some added enhancements which make the desk feel a bit more up to date." He likes that the graphics have been updated and look sharper, and that the console provides far more connectivity with its onboard MADI, Dante and two card slots built into the back. "I've really enjoyed using the Vi3000 on this tour and I've specified it for all Clean Bandit dates over the summer and beyond." Hatt concluded, "It's like an old friend who's had a bit of a makeover!"